The new Food Information Regulation (FIR), designed to make food labelling easier to understand for consumers, has been published by the European Union. The regulation combines rules on general food and nutrition labelling into a single EU regulation. Transitional arrangements set out in the FIR mean that the bulk of the requirements will not apply until 2014, with nutrition labelling becoming mandatory in 2016. • Country of origin – subject to further discussion, the introduction of mandatory origin information for most fresh and frozen meat. For example, it will be possible for ‘Scotland’, ‘England’, ‘Wales’ and ‘Northern Ireland’ to be used on food labels without mentioning ‘UK’ under new provenance rules. Also, the origin of main ingredients will have to be given if different from where the final product is made. • Nutrition labelling will be required for most foods. Simplified information may be provided voluntarily on front of pack. • Labelling clarity – a minimum font size has been set for all mandatory information on most food labels. • Allergen information will have to be provided on all food (whether sold prepacked or loose). For prepacked foods, the allergens will have to be highlighted on the ingredient list. • Drinks with high caffeine content will have to be additionally labelled as not recommended for children, or pregnant and breastfeeding women, with the actual caffeine content quoted. • Meat and fish products that look like a cut, joint or slice and contain more than 5% added water will have to show this in the name of the food. • The types of vegetable oil used in food, such as palm oil, must be stated. • To make it easier for alcoholic drinks companies to voluntarily include calorie information on product labels. • To enable voluntary provision of calorie information in out of home settings. • To continue to permit selling by numbers – such as a dozen bread rolls or eggs. Legislation to provide for the execution and enforcement of this regulation will be needed in each of the four countries of the UK, and the FSA will be working with Defra, the Department of Health and the Welsh Government on this. The responsibility for the FIR varies across the UK. Following the Westminster Machinery of Government changes carried out in 2010, general food labelling policy responsibilities (where this is not related to food safety) in England have been transferred from FSA to Defra. Responsibility for nutrition labelling policy has been transferred to the Department of Health. 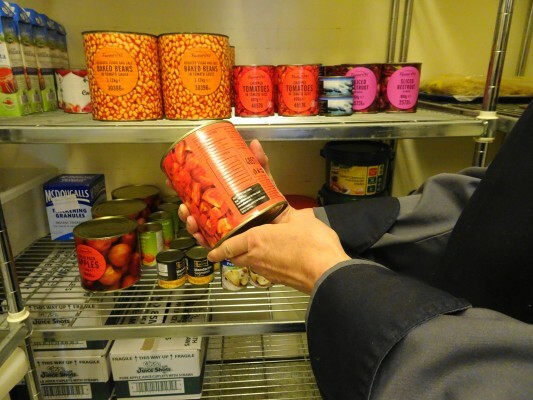 In Scotland and Northern Ireland, the FSA have retained responsibility for all aspects of general food labelling and nutrition labelling policy, including liaison with food authorities.